Traveling over the holidays? If you haven't already, now is the time to make your plans. Booking airfare is always like rolling the dice. When you do it can make a big difference, especially if you are booking for high demand dates around the end of the year holidays. 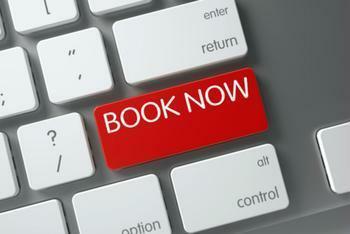 Booking both too early and too late can cost you extra money. Knowing where the schedule sweetspot is can land you a deal. According to CheapAir.com, you're now bumping up against the price increase threshold for Thanksgiving travel. If you've waited until now to book, your fare could cost you an average of $38 more than if you made your reservation in September. If you wait until next month, you could pay $52 more, if last year is any guide. As for Christmas and New Year, you have a little more time, but not much. The numbers crunchers at CheapAir say booking end of the year holiday travel in October costs only $15 more than if you booked last month. Wait until next month and it will cost an estimated $50 more. CheapAir maintains a page with the latest data on how holiday airfares are trending. Booking today for Thanksgiving travel yields an average fare of $428. That compares to $410 last week and $328 in September. Of course, the cost of holiday travel isn't just financial. It can take a toll on your nerves as well. To help keep your sanity, the Travel Channel recommends doing some research to determine whether you need to travel by air or whether a road trip could be an option. If a family is traveling, a road trip is likely to be a lot less expensive. If you do decide to travel by air, make sure you understand the airline's restriction on carry-on luggage before you arrive at the airport. And don't forget to take baggage fees into consideration when you are considering costs. Finally, consider downloading a couple of smartphone apps that can provide valuable information. The Travel Channel recommends Flight Status for air travelers and Gasbuddy for road warriors.